Former Union Defence Minister George Fernandes passed away this morning. He was defence minister from 2001 to 2004 under the then Prime Minister Atal Bihari Vajpayee-led NDA government. Fernandes started his career in politics as a trade union leader. His last stint as an MP was in the Rajya Sabha during 2009-2010. He was a key member of the Janata Dal. He founded the Samata Party. 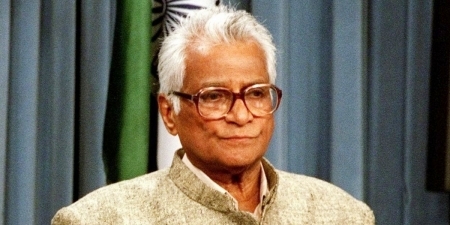 George Fernandes served several times as a Union Cabinet Minister, holding portfolios such as communications, industry, and railways, besides defence. He was first elected to the Lok Sabha in 1967. Arrested during the Emergency, George Fernandes was the industries minister in the first non-Congress government that came to power after the Janata Party defeated Indira Gandhi. A native of Mangalore, Fernandes was sent to Bangalore in 1946 to be trained as a priest. In 1949, he moved to Bombay, where he joined the socialist trade union movement. Becoming a trade union leader, Fernandes organised many strikes and bandhs in Bombay in the 1950s and 1960s while working with the Indian Railways. He defeated S K Patil of Indian National Congress in the 1967 parliamentary elections from the South Bombay (now south Mumbai) constituency. He organised the 1974 Railway strike, when he was President of the All India Railwaymen's Federation. Fernandes went underground during the Emergency era of 1975, while challenging Prime Minister Indira Gandhi for imposing a state of emergency, but in 1976 he was arrested and tried in the infamous Baroda dynamite case.